Don’t Projects is pleased to announce Si le grain ne meurt, an exhibtion of recent works by Düsseldorf-based painter Christian Schoeler. “There is a genre of novels which grew out of the German Englightenment called the Bildungsroman. Novels of education or formation. Narratives that examine the moral and psychological metamorphosis from child to adult. Some of the greatest novels of the past two centuries by Flaubert, Dickens and Hesse fall under this conceit. It is interesting that many of these coming of age stories examine the early stirring of sexuality in some form (EM Forster’s A Room With A View to Hanif Kureishi’s The Buddha of Suburbia). It is this transitional moment that forms the central focus of German artist Christian Schoeler’s paintings. “Schoeler’s first solo exhibition in Paris, Si le grain ne meurt, references Nobel Prize-winning French author André Gide’s 1924 autobiographical novel about the journey from boy to man. He was one of the earliest authors to openly explore homosexuality in his work. The book’s personal examination of cultural and sexual education is echoed in Schoeler’s intimate portraits. 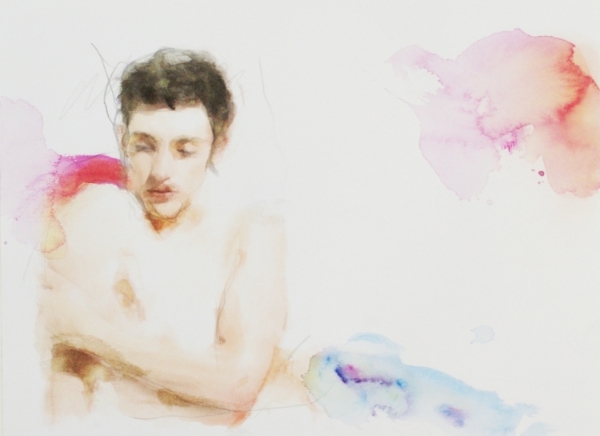 The artist is fascinated by definitions of masculinity and youth. His hypnotic, delicately painted oils and watercolours are imbued with the confusion and vulnerability he sees in his subjects. Working from photographs and life, Schoeler seems particularly interested in the fragility of young skin. Often his figures are partially dressed. 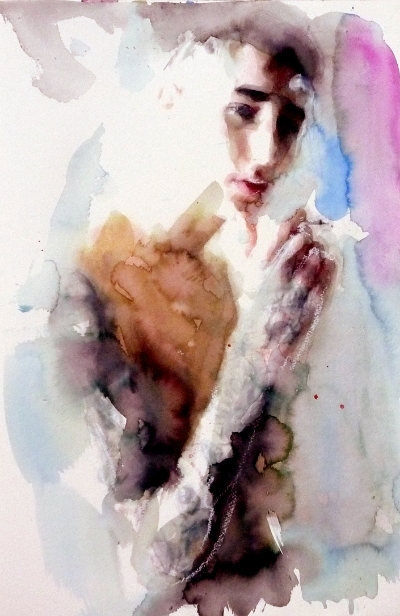 His washes of paint create a melancholic atmosphere around his subjects. His is a work of sensitivity and beauty. The small, intense paintings recall the idealised characters in Elizabeth Peyton’s work and the haunting, cloud-like mist of James McNeill Whistler. Just as Gide drew on his life for his novel, Schoeler’s work is based strongly on his own autobiography. 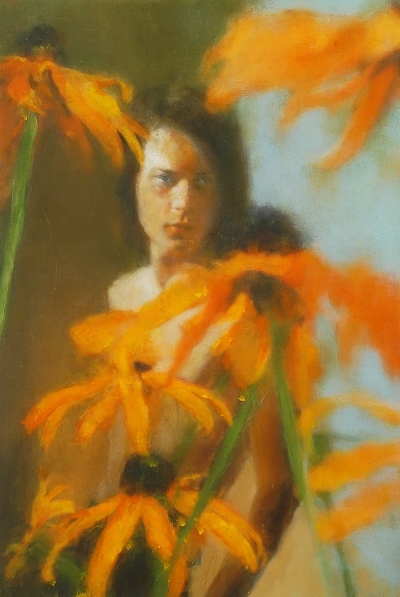 His personal relationship and connections with his subjects are evident in the intimacy in the way he depicts them. 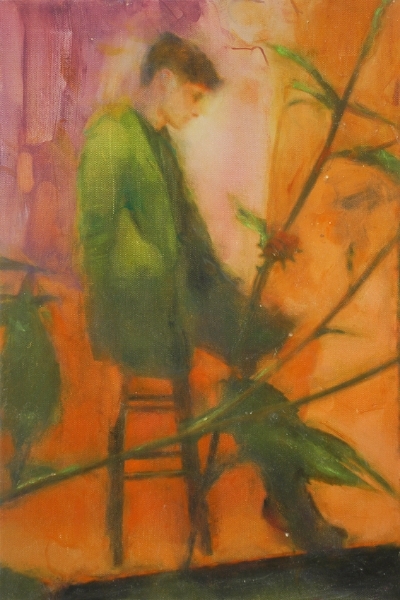 Although they are layered with a sense of the ideal, Schoeler brings out the inner emotional heart of his subjects – their melancholy, their confusion, their ennui, their vulnerability. 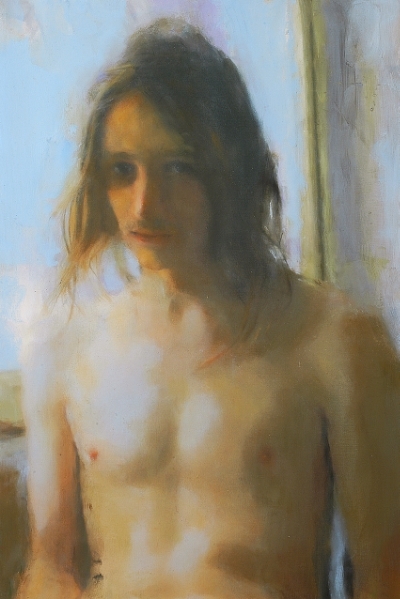 In a way his work forms a self portrait of the artist himself - his own inner turmoil and relationship with the world.